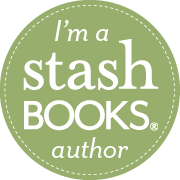 Welcome, Sew Mama Sew readers! I'm excited to share a guest post today over at Sew Mama Sew, sharing how to make those infamous half-square triangles, 8 at a time. As promised, here is the second installment of that tutorial, which will show you how to assemble the Brackets Quilt. This is a crib-size quilt pattern using 4" half-square triangles. - For sashing between blocks, cut 8 strips 14-1/2" x 3-7/8"
- For vertical sashing, cut 3 strips 6" x 42"
1) For instructions on assembling the HSTs 8 at a time, visit my tutorial at Sew Mama Sew. Construct HST units as pictured. You may use 8 printed fabrics and arrange the "bracket" units so that the inverse color scheme is shown in blocks with the same fabric combo. 2) Arrange 8 HST bracket units (made of 8 HSTs each) in two columns of four, so that you are pleased with the color arrangement. Sew together blocks 2 and 3 in each column. 3) Sew sashing between the blocks and on the top and bottom of each row, as pictured. 4) Sew sashing strips through the center and to the left and right of your columns. 5) Add teal border strips to the top and bottom. 6) Add white border strips to the top and bottom. 7) Baste, quilt and bind as desired. I thought it would be a fun time for a giveaway. 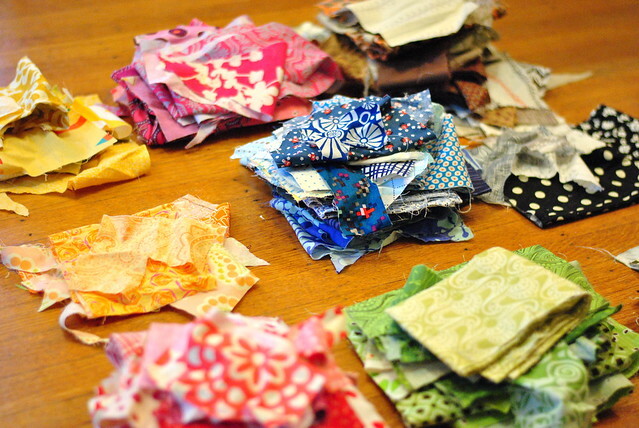 The prize will be a flat-rate box of fabric scraps from my stash, for your next quilting project. I am getting ready to move, so I've got lots and lots of scraps of all sizes that need to move to a good home! 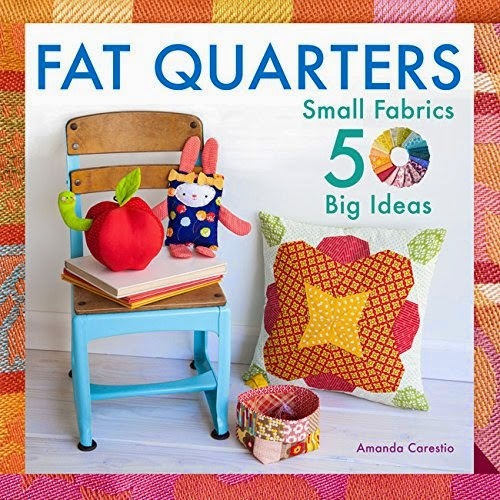 1) Please leave a comment with your favorite colors to quilt with. Or favorite fabric designer, motif (geometric, florals, novelty, etc.) What do you love these days? 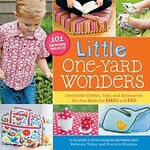 This way, I'll know what fabrics to send you if you win. 2) Followers of my blog (old and new) may leave a second comment. I'll choose a random winner a week from today's post. International entries welcome. Good luck! My colors for this year are burgundy and cream and beige and brown.. earthly tones. Right now I'm working with grays and blues - it seems so appropriate for winter! What a generous giveaway! I'm loving grays, blues, oranges, purples, greens. Thanks for the giveaway. I like reds and grays, pinks and purples. 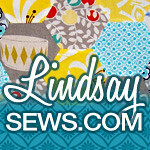 I follow your blog, thanks Lindsay! I love bright bold rainbow colors. I'm also loving aquas and grays right now. I tend to lean more towards geometric and smaller prints. I'm a new subscriber to your blog! I love quilts made with cooler colors... mostly blues, greens and grays. I love using red, aqua, black and white...right now. I am really loving gray denim with pops of bright colors and patterns. My favorite color is anything blue! I love tiny florals in blue and purple. I've been so in love with so much stuff fabric-wise right now. Vintage floral motifs, very geometric patterns, like I said - a little bit of everything. I love bright, clear colors. I am fond of modern and novelty prints. Thanks for offering this lovely giveaway! Follower of your blog via fb. Don't mind adding to my blue stash, and if you have some black and white material, that would be awesome, too. Trying to get enough pieces to get a scrappy black and white together. Thanks for a nice blog! My favorite fabric designer is Amy Butler. Her prints made me want to start sewing again. I'm a follower of your blog. Thanks for the giveaway! How generous. I pretty much use all colors but not so much of the pastel tones. I generally use mostly geometric prints over flowery prints. Hey-this sounds like my clothes closet! Aqua and Peach combo. Aqua and Orange. Aqua and Red. that's right. Dots and Circles, hence Pearl Bracelet remains a fav. Is there a reason you did not do this using a layer cake? I think I am going to crack open a layer cake and try your HST tut with 10" squares. Weeeooo! and I am a follower and an admirer. I love cool colors right now. Thanks for the wonderful giveaway! I love blues... getting into orange and aqua at the moment as well. Thanks for the chance to win and the great tutorial. I love scraps! My favorite colors tend to lean towards pink but I'm trying to expand my palette to include others. I'm definitely a modern fabric lover and need more of it! Favorite color? Probably greens. But when it comes to scraps, I love them all (I'm making a postage stamp quilt so I need tons of scraps for my 2.5 inch squares). I'm a follower! Thanks for a nice scrappy giveaway! I'm not fussy - any scraps are welcome! Thanks bunches! I love quilting with neutrals and solids! thanks for the tutorial and the chance at your scraps! Oh, if the world could just be purple and green! Which is why I love poetica by Pat Bravo. Thanks for the giveaway! Found you through Sew Mama Sew, and happy to say I'm now a follower. 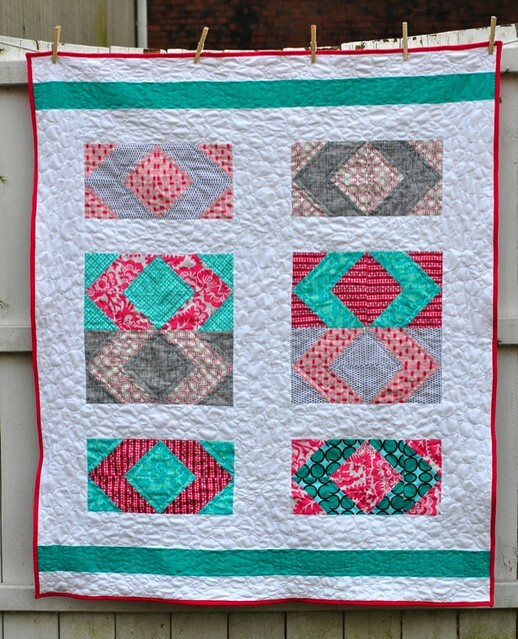 I am finding myself drawn to super bright colors in quilts. It's funny as I used to really be drawn to pastels.. I love all colors so I'd really be happy with any. Thank you for the chance and especially a huge thank you for the awesome tutorial for the HSTs and the super cute looking baby quilt. 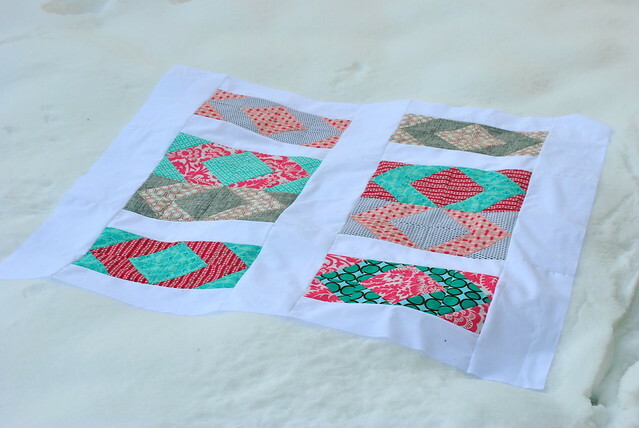 Thank you, beautiful quilt; great tutorial! I´ll follow your blog, and love to welcome you to follow my blog too. I'm a Tula addict. I love purple as well. I love bright colors such as lime green, purple, orange and red. I love geometric prints but sometimes choose the retro type florals. Depends on my mood, I guess. 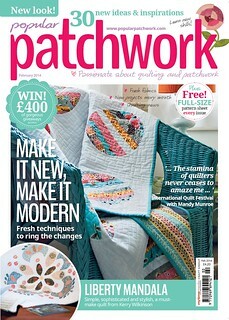 I am a follower and love your quilt! Came over from SMS and your tut there - great approach, thanks for sharing! Love colorful modern fabrics and solids. I love poka dots and other bright happy designs. I love red and yellow and white. And this method of making hst is fabulous! I have 5 sisters, 1 brothers and lots of nieces and nephews so i could use whatever scraps you have! Thank you the tutorial on the half square triangles, brilliant! Wow...it's hard to say. I love pink. I also love The Sweetest Thing and A Simple Life. I really like the small florals in those lines. I really like sweet fabrics like the the one Nana from Nana & Company uses. I generally like pink but I just found out how nice orange and turquoise/blue go together! I'd love some blue fabric...thanks for the great tutorial! And yes, I'm a new follower! Hi! I sew with mostly blues, but probably b/c I am expecting my second son in February. I love Heather Ross's prints; I'm working on a munki munki quilt. Thanks for the giveaway! Nice tutorial, might try that soon. I love lime green and light green and orange at the moment, mainly novelty prints and solids. I am Drawn towards brighter more modern fabric recently. Possibly I'm influenced by my four daughters? I have been working with low volume fabrics of late and love how they look. For color greys and orange have an appeal to me and anything with words! I just found your site through Sew Mama Sew and I'm excited to pour though all your posts! I love vintage fabrics, polka dots, and stripes! Hola!soy viejo seguidor.Me encanta su tutorial. Celestes y verdes son favoritos.Gracias por la chance. Red and whites...Gray's.....snippets of black...sunny yellows...baby green...a vintagey feel. Fabric is so fun! I love bright colors and am enjoying playing with different combinations these days. I love HST and will try your tutorial posted on SMS soon. I am just going to start a quilt for my brand new first grand daughter and plan to make HST. What a lovely giveaway. My favorites are pinks and purples ( my 3 year old's favorites!) Or reds which are my 6 year old son's favorites. I love purples most of all. Very cute quilt!! And thanks for the tutorial! I found you today via Sew Mama, Sew! Love your blog and can't wait to check it out more. I'm loving fabrics with a vintage feel, but I gravitate to all different kinds of fabrics. I just started a new quilt with Flea Market Fancy and recently ordered some Notting Hill--love this line! Congrats on the moving news! Favorite colors are mustard, blue/aqua, greens and grays and oranges. That's a lot of favorites :). 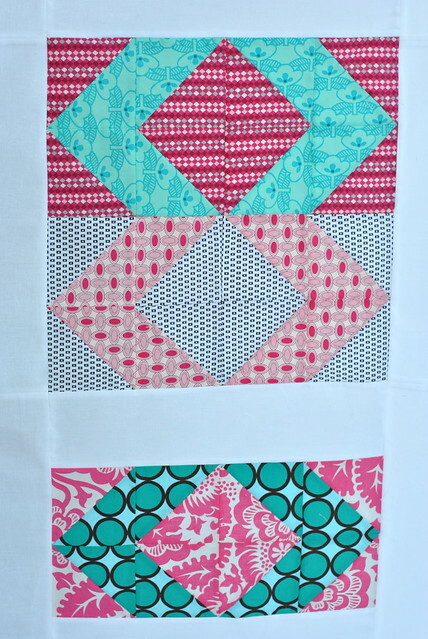 Thank you for the tutorial on Sew Mama Sew and this post for the baby quilt. 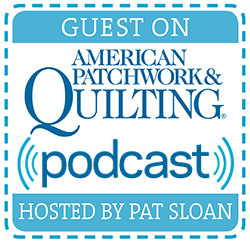 I love learning all the wonderful tips on quilting. Right now my colors are teal, gray, white and black in any design. I just stumbled upon your blog and i'm so glad i did. I am a quilter wanna be. Here's to hoping i can finish my first quilt this year! I am in love with anything teal and chevron. You have found a new follower in me. Can't wait to see what's in store for your future projects! seems like i can never get away from cobolt blue or purples!! Gorgeous use of HSTs. I love sewing with most colours, I've made a few scrap quilts recently and loved it, I have a shortage of purple and yellow in my otherwise overflowing scrap boxes! I love bright colors, especially on these short, grey, winter days. I recently took a class and learned the Quilt as You Go technique and I'm really having fun playing around with that. Beautiful baby quilt! I would love to win your scraps! My favourite colour right now is rainbow. How's that for covering my bases?! 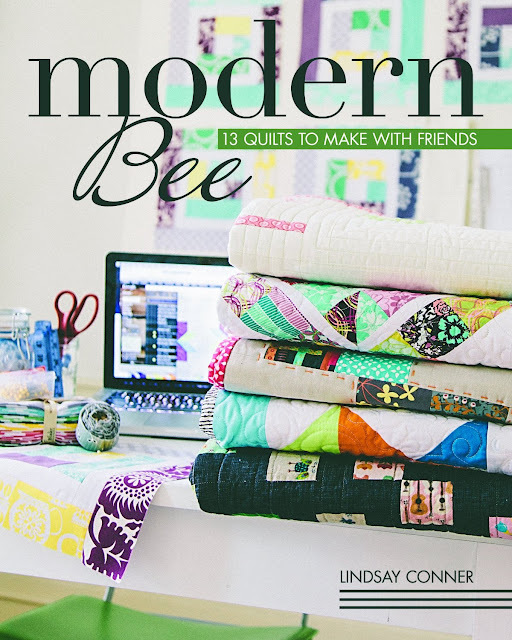 love this quilt Lindsay! absolutely beautiful!! right now i'm into lime, teal and brown. I am not picky when it comes to fabric. I like anything and everything! I know this is terrible but I cannot help myself. I am just drawn to fabric. My husband and kids try to take me to stores that does not have fabric so they do not have to endure the trip thru the section and watch me foam over them. he he I really like the hst tut. Talk about save. Thank you very much. I am always on the look out for short cuts when it comes to cutting out blocks. oh yes scraps. so lovely to play with those tiny peaces and make something of it. i would love the greens. Oh and the tutorial is definitly a stayer. I love all the bright bold colors, maybe a rainbow of scraps?? My favorite colors are blues & greens, but I'd love to expand my stash to include reds and oranges so I can do a rainbow someday. I love scraps!! And I will seriously take whatever colors if I win! I tend to favorite blues, greens, blacks, and grays. Thanks for the chance! I'm an Rss follower. Lovely quilt and colors! I am looking into grey/blue/green modern prints for my baby boys quilt. I'm drawn to reds, grays, aquas, but I really love all colors. Thanks for the chance to win! I think my colors for this year will be blue, green and some orange. I love dots! Would love some scraps for a quilt. This year I love light or bright green, blue, aqua, purple, violet-plum colors with paisley or ornate or florals designs. Thanks for the chance to win! Great giveaway! I love geometric prints. Very nice quilt! I especially like the use of color. Nothing makes me happier than seeing an older technique used in a new way! I am loving single color prints in all colors along with bright solids and black and white. Found your blog via your hst tutorial - what a great concept to make eight at a time! Can't wait to try it out and to stay following your blog. I've been looking for a pattern for a baby gift quilt and I think this might be it. Having only just started quilting this summer my stash is quite small so I would love any opportunity to help it grow! I love small scale prints in blues, greens, oranges, and yellows in the shares found in noteworthy, road 15 and 2wenty Thr3e. 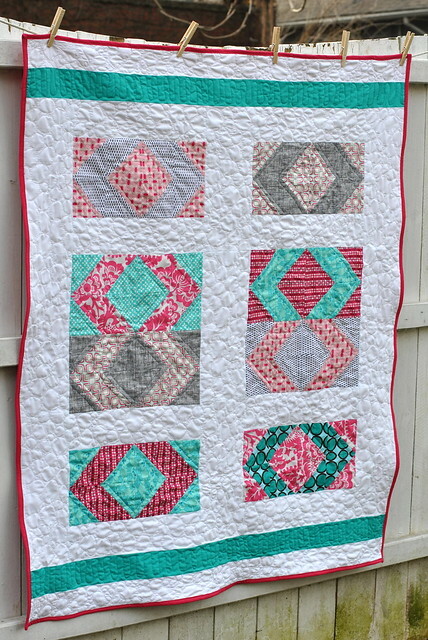 What an adorable quilt and a super quick tutorial! I'll love being able to make HST so easily! I love blues in most any shade, being quite partial to the Sunnyside range in Vapor & Sprig by Kate Spain at the moment. Thanks so much for the giveaway! I'm a new follower through bloglovin'. Thanks for the super tutorial & the giveaway!